Colorado in the summertime is one of the most glorious places you’ll ever experience, and lucky for Houstonians, daily direct flights into the Mile High City are plentiful and usually budget-friendly. Whether you’re looking for some action with altitude, a Colorado Rockies game, a concert at famed Red Rocks Amphitheatre, hiking, or something else, Denver tops our list of best direct flights from Houston during the summer. Get there: Fly from either IAH or HOU on United, Southwest, Frontier, or Spirit into Denver International Airport (DEN). Flight time: 2 hrs and 26 minutes. Located in the Cherry Creek district surrounded by great shopping and top-rated restaurants, this boutique hotel is where you’ll want to lay your head. The rooftop pool and bar doesn’t hurt — and neither do unique hotel amenities (like a Gear Garage where hotel guests can rent just about anything from a longboard, a beach cruiser, a camera, and more), but its proximity to so many Denver attractions like Denver Botanic Gardens (which is a gorgeous, tree-lined walk from the hotel or a quick ride in the hotel’s complimentary Range Rover), and just a 20-minute jaunt from the buzzing RiNo District, it’s got everything. Sticking to the glorious Colorado theme during the summer months, Aspen has long been a favorite for Houstonians for decades. The small-town vibe with breathtaking mountains and outdoor adventures (hiking, biking, SUPing, golf, and more) are sure to top your summertime wants and needs. This mountain town makes the ideal setting to disconnect in nature and discover the outdoors in ways you never imagined (along with the unassuming, metropolitan culinary scene that awaits you). Popular attractions include the annual concert series JAS, a three-day concert series over Labor Day weekend. It's hard for Houstonians to imagine so many outdoor activities during the summer, but Aspen will help make all your dreams come true. Get there: Fly from IAH on United into Aspen-Pitkin County Airport (ASE). Flight time: 2 hours and 37 minutes. Just a block off Main Street, this primetime downtown location is one of the only 4-star luxury hotels you can experience without the stuffiness you might find in others in town. It’s offers a great pool, complimentary shuttle service from the airport, complimentary cruiser bikes for guests to get around town (though it’s all wonderfully walkable), free breakfast each morning (which goes above and beyond your standard complimentary continental breakfast), and is pet-friendly complete with doggy beds, neon-lit water dishes and more. Come for the town, stay for the hotel. One of the most authentic, accommodating and of course accessible cities to make our summer bucket list is Nashville. The city boasts a music scene that is second to none and provides adventure for a girl’s weekend getaway, a romantic vacation, or even a family-friendly trip everyone can enjoy. Music aside, Nashville’s dining options runs the gamut, including James Beard-award-winning Henrietta Red, Rolf & Daughters, and world famous Hattie B’s Fried Chicken. Be sure to check out the The Rolling Stones exhibit at Nashville's Musicians Hall of Fame and Museum, which tells the story of one of the most influential rock bands in history through more than 500 artifacts and memorabilia. Get there: Fly from either IAH or HOU on United or Southwest into Nashville International Airport (BNA). Flight time: 1 hour and 55 minutes. 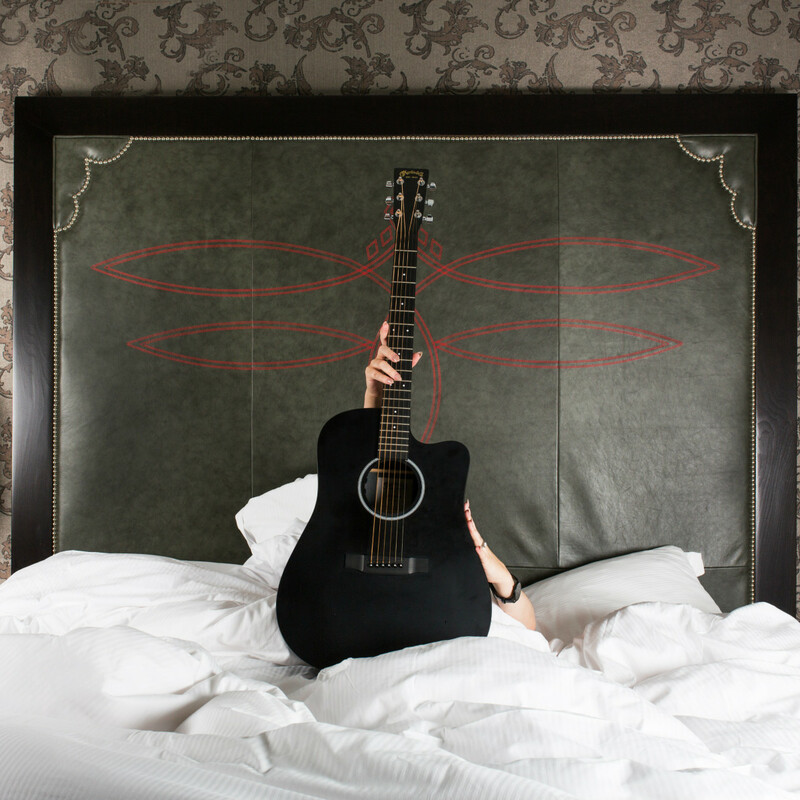 Dubbed the “genuinely Nashville, soulfully inspired” hotel, this spot has taken southern hospitality and elevated it to a new art form with little touches like complimentary shoeshines and a luxury SUV at your beck and call. 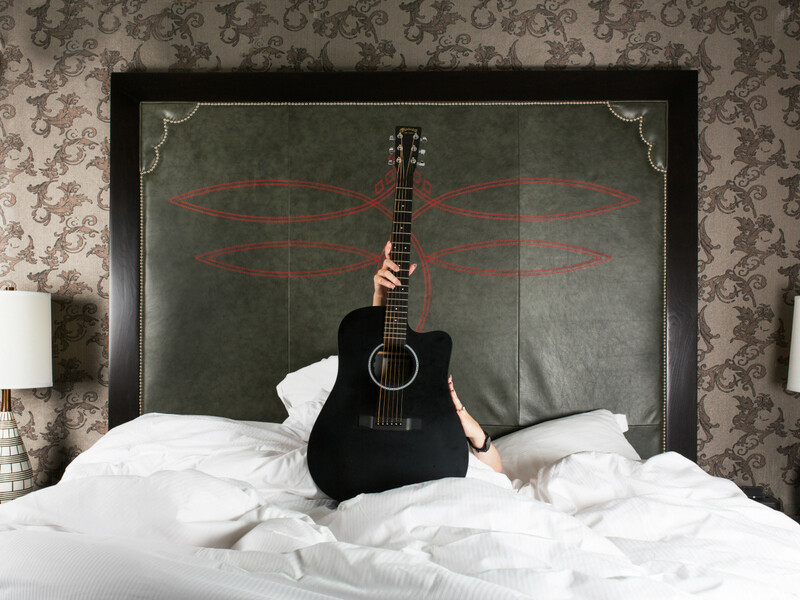 The hotel is perfectly appointed on Music Row and boasts programs perfect for the kids or pets (like Loews Loves Kids and Loews Loves Pets programs), if you decide to bring them along for the trip. Loews Vanderbilt adds a sense of authentic, local foods through their unique Flavors program, which is indigenous to the city and built on partnerships with artisan food and beverage vendors — ranging from bakers to ice cream makers. You'll feel and eat like a local in no time. Houstonians already know a quick, direct flight to Mexico can be faster and cheaper than traveling to many East Coast spots, which is why Puerto Vallarta makes our list. Located on the Banderas Bay, one of the largest bays in the world, Puerto Vallarta is uniquely situated where the jungle meets the sea and provides a picturesque landscape. This diverse scenery makes Vallarta more than your average "fun in the sun" summer spot, giving visitors a wide variety of activities to choose from. Travelers can opt for the usual beach activities like jet skiing, parasailing, surfing, boogie boarding, fishing, and sunbathing, as well as tropical jungle expeditions, which educate guests on the flora and fauna indigenous to the area. There's also zip lining through the jungle or tours of nearby towns for a taste of Mexican culture. Get there: Fly from IAH or HOU on United or Southwest into Puerto Vallarta International Airport (PVR). Flight time: 2 hours and 29 minutes. This adult-only, luxury, all-inclusive, boutique hotel and ocean club is reminiscent of a Spanish hacienda and features a private ocean club just minutes from the beach. 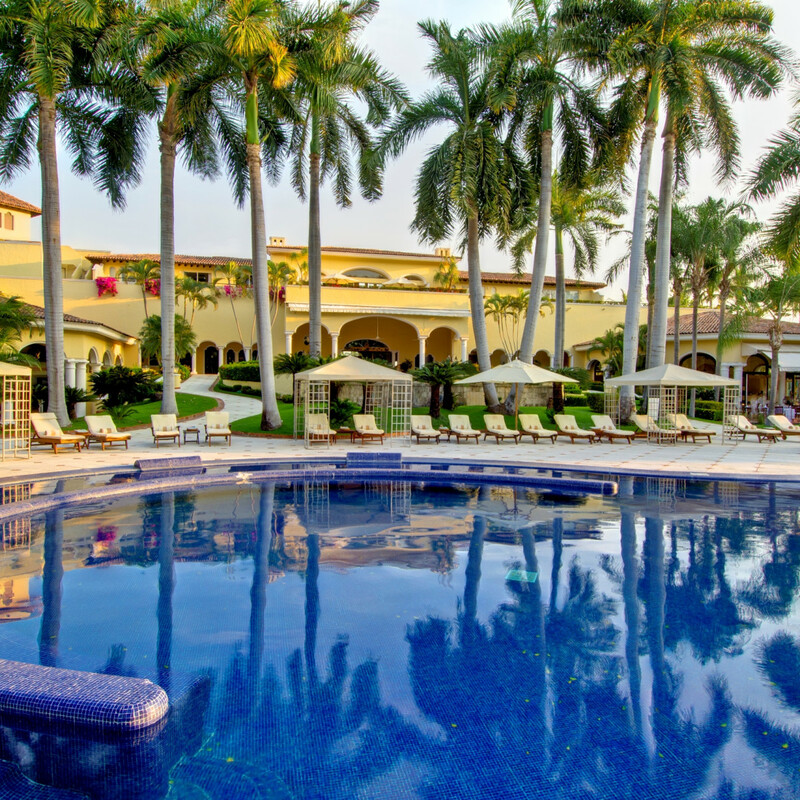 Located only five minutes from Puerto Vallarta Airport and 15 minutes from downtown, its art galleries, and "El Malecon" (the boardwalk), the hotel features 80 spacious suites. 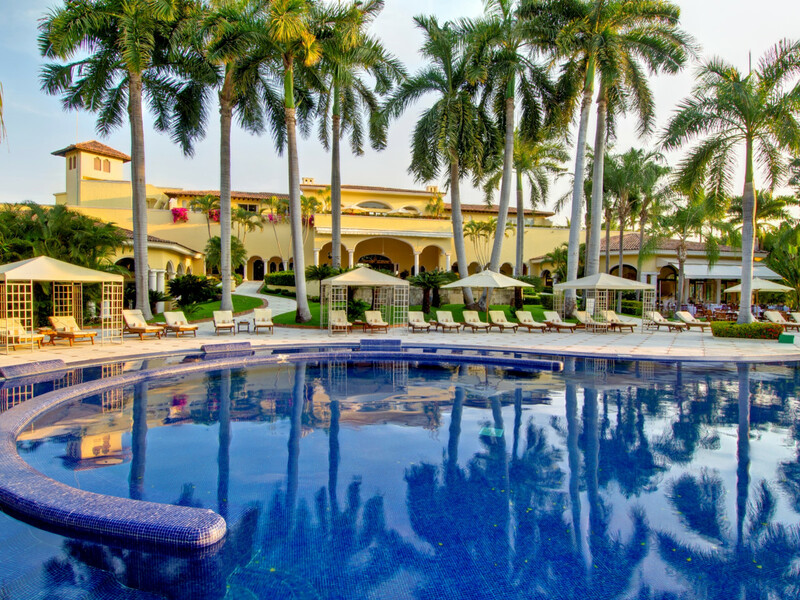 Nestled on the greens of Marina Vallarta's 18-hole golf course, the hotel offers guests complimentary golf at three nearby, signature-designed 18-hole courses. Forbes Travel Guide awarded Casa Velas Four Stars; it's the only boutique hotel on the Mexican Pacific coast to receive the honor. Don't miss their “handbag bar," a novel concept where guests can enjoy use of a “loaner” designer handbag at no extra charge during their stay. Another can’t miss direct flight is into San Jose del Cabo Airport, to experience all that Cabo has to offer. The Mexican beach town is no secret to Houstonians, offering at least four non-stop flights a day (that’s less than 3-hours in the air). Soon, you’re on the beach and posting on Instagram in no time. Get there: Fly from IAH or HOU on United, Southwest or Spirit into Los Cabos International Airport (SJD). 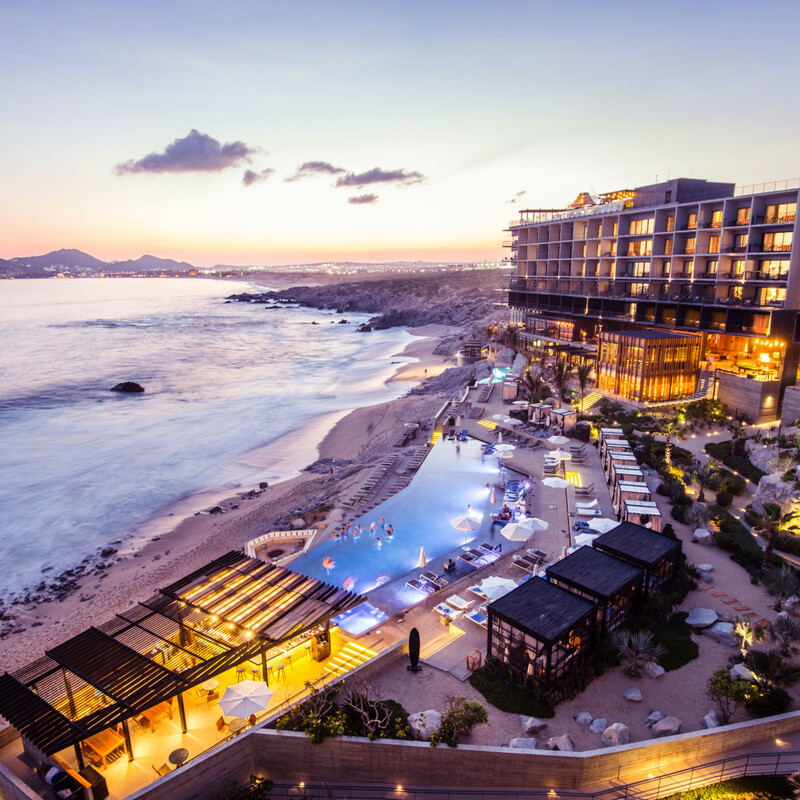 One of the newest boutique, luxury resorts in the Cabo San Lucas region of Baja California Sur, Mexico, The Cape sits along one of the most desirable stretches of white sand in all of Los Cabos — which is also a well-known secluded surfers’ paradise known as Monuments Beach. 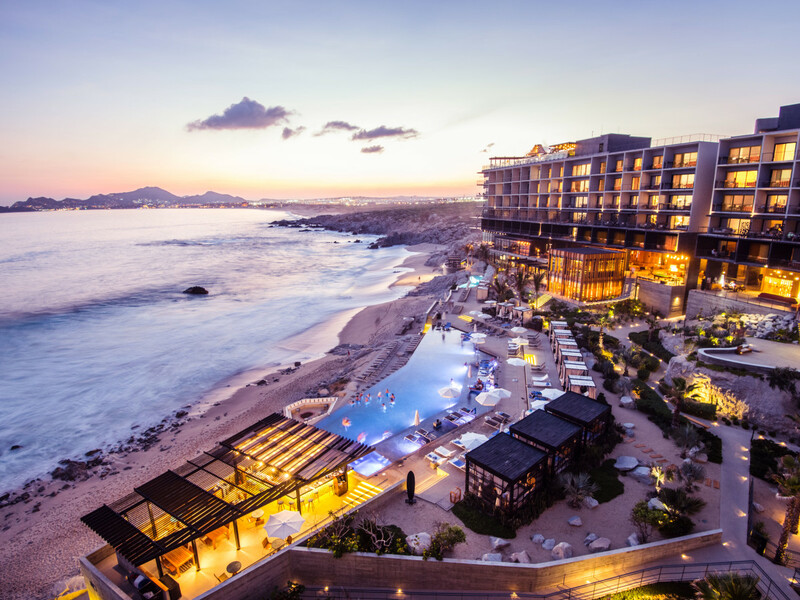 Each luxury room comes with unobstructed views of the Sea of Cortez and the destination’s famed icon, El Arco — a stunning natural phenomenon of granite carved into an arch by centuries of wind and sea exposure. The Cape blends the brand’s upscale, urban aesthetic with a distinct 1960s, Baja-meets-Southern California vibe. Guests can enjoy two pools, including an infinity pool with swim-up bar and another built within a natural rock formation. Don’t miss the sixth-story rooftop lounge and garden, the signature restaurant from acclaimed Mexican Chef Enrique Olvera, or the on-property Mezcaleria. 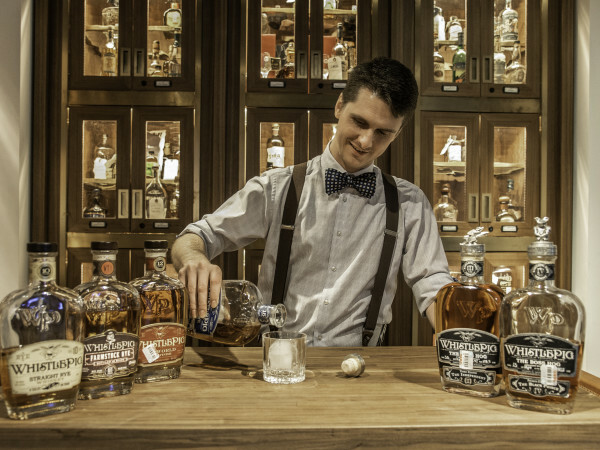 The hotel’s resident mezcal curator, Daniel Quezada, has created a cocktail program specializing in all things Mezcal, featuring regular guided tastings. This summer, Houstonians can quickly and easily fly over to one of the best East Coast beaches. Fort Lauderdale has become a hotbed for art, fashion, and design (check out what Nylon has to say about the city's booming art scene), with a monthly art walk in FAT Village and a bustling beach year-round. If you want shopping, fancy drinks and just all-around beach time, consider Fort Lauderdale this summer. Get there: Get there: Fly from IAH or HOU on United, Southwest, or Spirit into Fort Lauderdale-Hollywood International Airport (FLL). Flight time: 2 hours and 30 minutes. Situated directly on the sandy shores of Fort Lauderdale, W Fort Lauderdale is the ultimate playground for a summer escape with an Insta-worthy rooftop pool, buzzing Living Room with nightly entertainment, daily beach bootcamp, and yoga classes for the fit-focused. 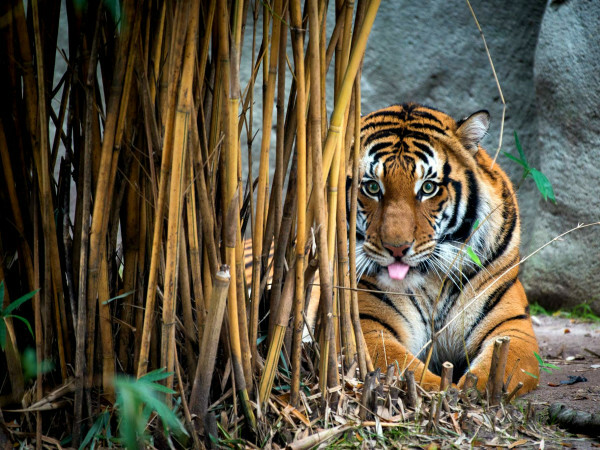 For a true VIP experience, travelers can upgrade to the Vacation Like A VIP package. Chicago in the summertime is always a good idea. In fact, it’s probably the best idea possible — and it's easy to make happen. The hotter daytime temperatures are countered with the lake breezes at night. The overall vibe and energy of The Windy City can’t be beat, plus there are world-famous events like Lollapalooza, two baseball teams to choose from, restaurants fit for every mood and budget, Navy Pier Centennial Wheel & Rides, Lincoln Park Zoo, and bike rentals around the city are just a few reasons that make summertime in Chicago so memorable. Get there: Fly from either IAH or HOU on United, Southwest, Spirit, or American into Midway International Airport (MDW) or O'Hare International Airport (ORD). Flight time: 2 hours and 20 minutes. Chicago’s River North neighborhood welcomed a new, playful hotel earlier this year, and it’s reason enough to visit. The city’s first Moxy Hotel, this millennial-focused boutique property has 156 guestrooms and is located on the corner of Grand Avenue and LaSalle Drive and exudes the playful spirit the city is known for. 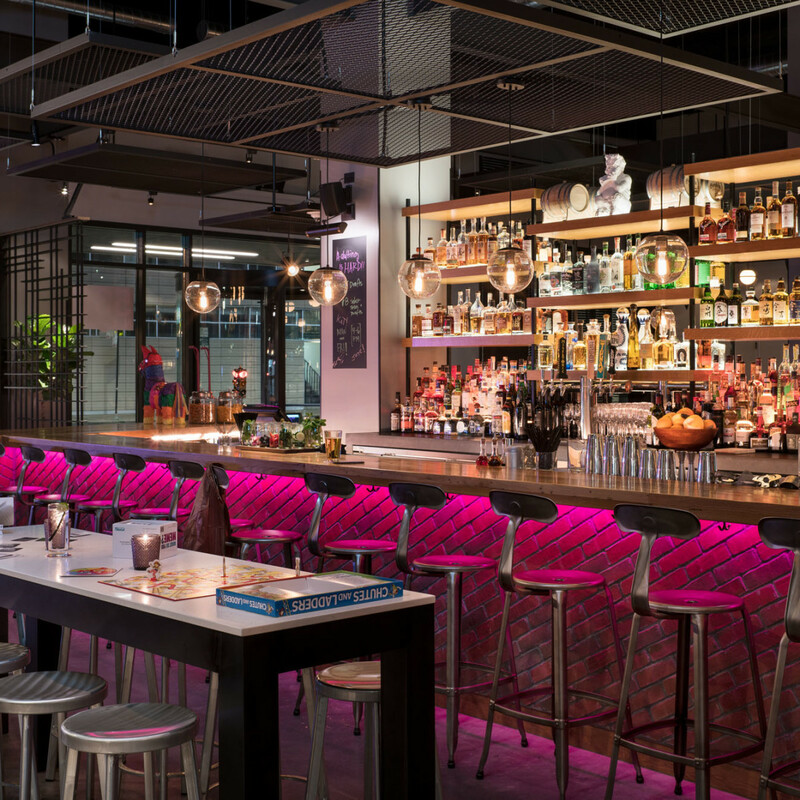 Bar Moxy in the lobby serves as the hotel’s hub as well as the front desk, where guests check in and are greeted with a complimentary ‘Got Moxy’ signature cocktail to kick off vacation. 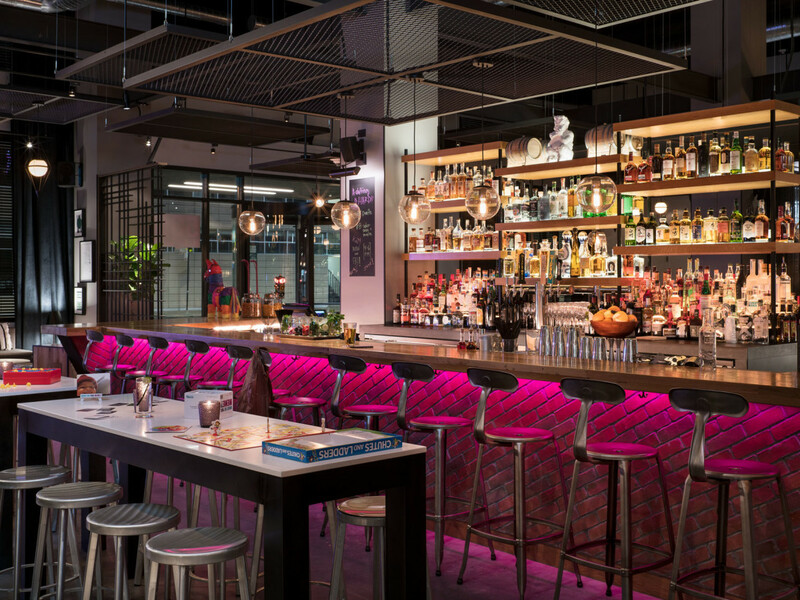 Already a coveted spot for happy hour, the hotel features a curated music program into the evening with activations, including DJs and the Moxy SoundOff booth, with live podcasting and psychic readings — as well as a 24-7 food truck inspired concept, Zombie Taco. If you’re looking for a vibrant way to experience Chicago this summer, this is for you. If you’re using this summer travel guide as a summer plan, knocking out Chicago and Milwaukee together is definitely the way to go (fly into Chicago and then take a $40-50 Amtrak train right into Milwaukee or vice versa). 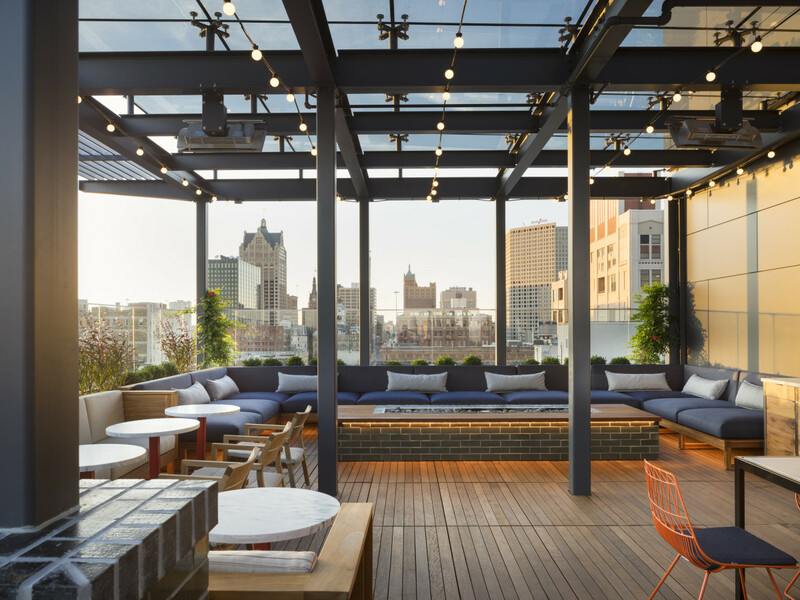 For those who’ve never experienced Milwaukee in the summer, this is an under-the-radar treat for Houstonians looking to take a break from the scorching heat. The weather averages 65 to 80 degrees in the summer, plus the beautiful breeze off Lake Michigan to help recharge your summer activities and get you ready for a fun-filled evening.This beer and cheese-loving city is a great scene, complete with lively outdoor patios and bars in every neighborhood. Between June and September there are more than 40 festivals and outdoor events in the city. Get there: Fly from IAH or HOU on United or Southwest into Mitchell Airport (MKE). 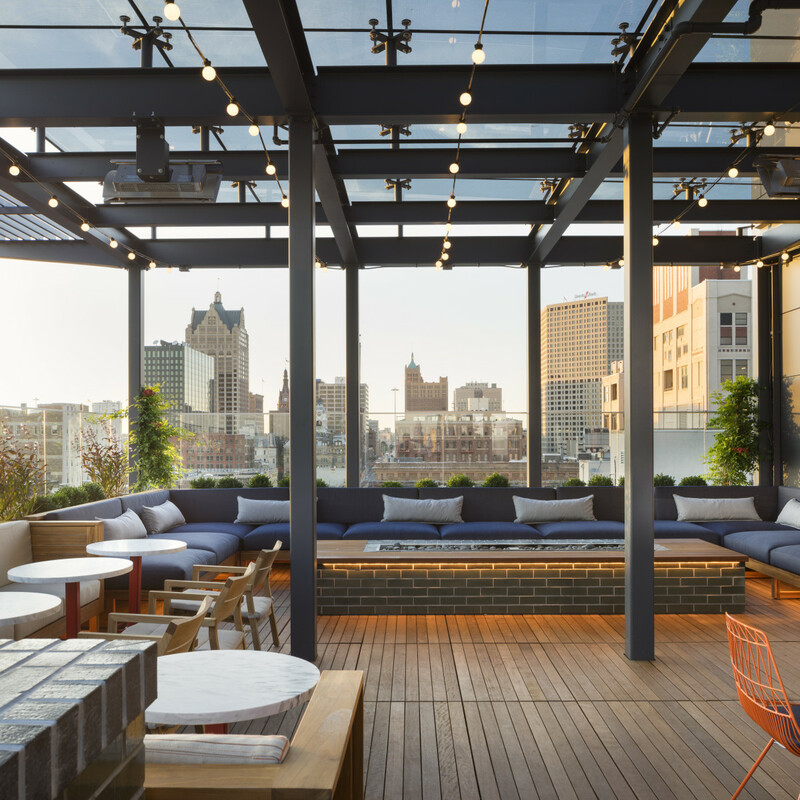 The Kimpton Journeyman Hotel is the only hotel in Milwaukee’s Historic Third Ward District. The nine-story red brick building sits in the heart of Milwaukee’s bustling art and cultural district, and features 158 eclectic guest rooms. The hotel features two dining options, both led by executive chef Heather Terhune, a Mediterranean-inspired restaurant called Tre Rivali and an always-busy rooftop bar, The Outsider. The Journeyman is pet-friendly and hosts a complimentary happy hour for hotel guests called Cutwater Spirits at Wine Hour offering canned cocktails and lots of excitement. 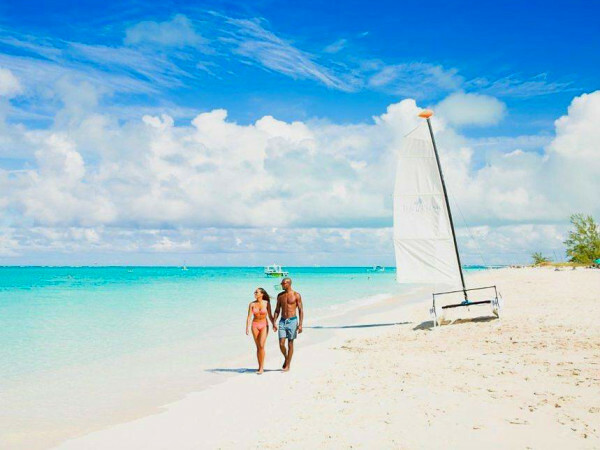 The Bahamas are always a good idea and with average temperatures around 82 degrees; now's the time to book. At Nassau's Paradise Island, you'll be treated to lush beaches and crystal clear blue waters that make the trip well worth the quick trek, plus you're just a hop, skip and a jump from other fun islands, like the infamous swimming pigs. The great part about visiting this gorgeous and fun-filled island during the summer is that the deals are in abundance. Get there: Fly from IAH on United or Bahamasair into Lynden Pindling Airport (NAS). Baha Mar has redefined adult luxury, not only in the Bahamas, but pretty much anywhere. The recently completed $4.2 billion integrated beachfront resort development Baha Mar, is located along the beaches of New Providence, and is comprised of three hotels — Grand Hyatt, SLS, and the all-new Rosewood. The entire complex has 2,300 rooms; 40 restaurants and lounges; a casino; an 18-hole Jack Nicklaus Royal Blue Golf Course; 30-plus luxury retail outlets (including some favorites like Rolex, Tiffany & Co., and Hublot); and pin-striped pastel cabanas — which are perfect for Instagram.